Is My Diet Damaging My Hair? A healthy diet is important for every part of your body, so why should your hair be any different? What you eat can affect every aspect of your life and it can have an impact on healthy hair. Sometimes that impact can be negative and eating some types of food may cause damage to your hair. If you are concerned about hair loss or thinning hair, you should have as much information as possible about hair health and RHRLI wants you to know how your diet can help your hair and how your hair can be damaged by a poor diet. We also want you to know that we can help you find a permanent solution to hair loss. RHRLI is the only hair loss treatment center on Long Island that has the ARTAS® Robotic Hair Transplant System. It’s the most precise procedure for hair transplants you can find. In general, most healthy individuals have adequate nutrients in their diet for hair health, according to the Trichological Society (TS). Those who are malnourished can experience hair loss. It can also happen if you go on a “crash” diet. Some medical conditions can bring about nutritional deficiencies which can influence hair loss. Diet can certainly have an effect on hair health. If you have certain nutritional deficiencies, you can have dry and stringy hair and even experience some hair loss. Hair derives its nutrients from blood flow under the scalp where hair roots are housed within the follicle, according to TS. The blood sugar spikes can cause a fluctuation of hormones such as insulin, cortisone, adrenaline, testosterone, and DHT, the hormone that leads to hair loss. Other foods that can be troublesome for hair health include fish that’s high in mercury, according to the Huffington Post. That’s because high mercury levels can lead to hair loss, but this usually only applies to people who eat a lot of fish, particularly sushi, several times a week. High glycemic foods can also lead to thinning hair, according to Huffington. These are foods like bread and pasta, which can be broken down into sugar quickly. There are also foods that promote hair health. For example, omega-3 fatty acids, protein, vitamin B12, and iron, can prevent dry scalp and dull hair color, according to TS. 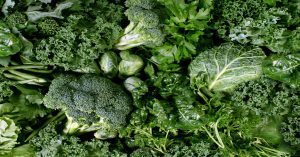 Green vegetables contain high amounts of vitamins A and C which can be a natural conditioner. Legumes are high in iron and zinc, which helps form keratin, the main protein in hair. There are many reasons to have good dietary habits to live a happy and healthy lifestyle. What you eat can also affect your hair health. At RHRLI we work hard to make sure you have the healthiest looking hair possible. We use the ARTAS® System, which employs robotic technology to assist your doctor in the hair transplant process. We find and transplant the healthiest donor hairs and the result will be a more natural and healthy looking head of hair for you. Contact RHRLI today. Previous Post: « Are Beard Transplants Possible?